Cook the octopus for about 1 hour and 30 minutes in water until tender. 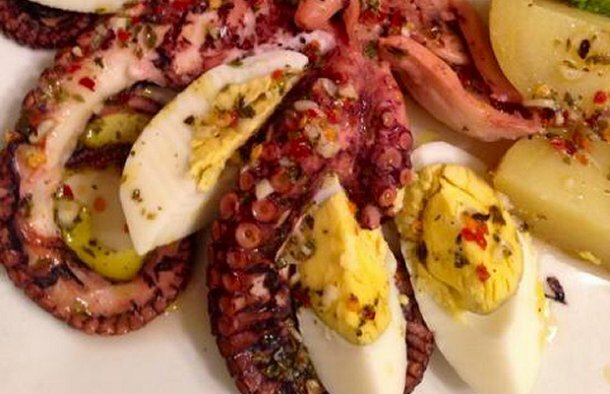 To make the sauce, mix all the ingredients and spread over the octopus. Serve with boiled eggs, potatoes and steamed broccoli. 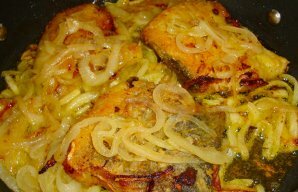 This very tasty Portuguese onion cod recipe (receita de bacalhau de cebolada) is easy to make, serve with boiled potatoes. 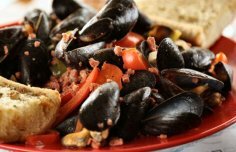 How to make Portuguese mussels. 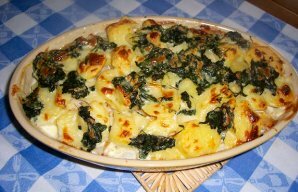 This Portuguese cod with spinach recipe (receita de bacalhau com espinafres) is delicious and very easy to make.